This week's ScrapGals podcast is all about scrapbooking your faith. We veered off topic a time or two and in the end, I wasn't sure how much we had said that was actually scrapbook or faith related. I was amazed at how many ideas we actually came up with in the show! I sent the list off to Tiff so we could work on layouts. Hoping the list will inspire you too, I thought I would share it. Our ideas were specific to Tiffany and me so I'm going to list them in a more general way so you can see how they could spark an idea to scrap your own life. Some will be relatable and some will not, of course. 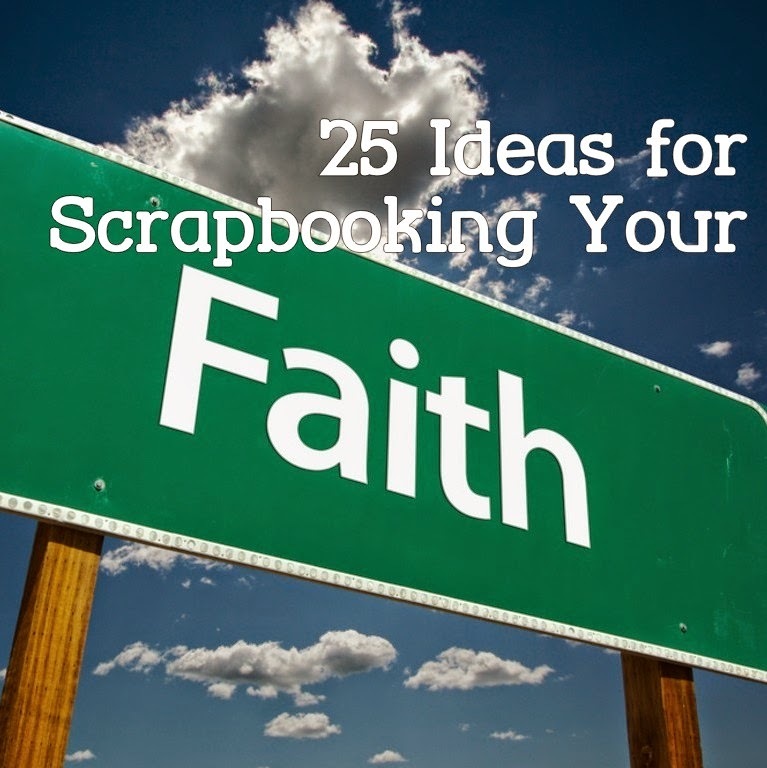 Okay, so there's 25 great ideas to spark your scrapbooking about faith! I have to go get busy on a page of my own! Dang, we came up with lots of good ideas. Good job, ScrapGals! Lol! I love this list! Thank you for sharing all the ideas!